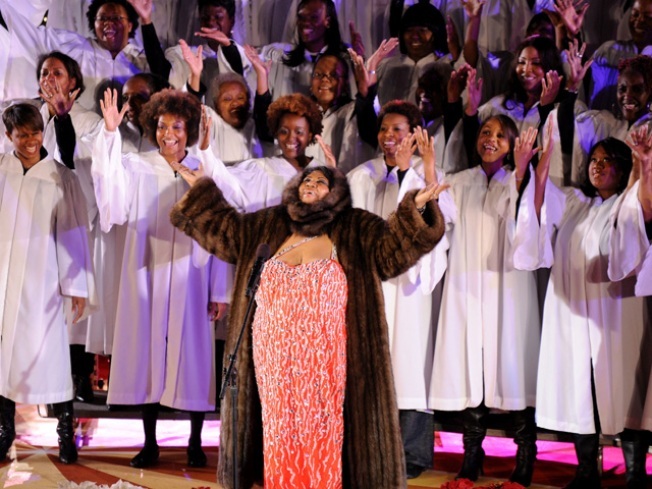 Aretha Franklin performs at the Rockefeller Center Christmas tree lighting at Rockefeller Center on Dec. 2, 2009, in New York. Click here to see the 2010 lineup. Soul legend Aretha Franklin has canceled her appearance at the New Orleans Jazz&Heritage Festival, but organizers and fans got lucky with a replacement. Earth, Wind & Fire happens to be in the area and offered to play on the popular music festival's largest stage on Friday night. Festival spokesman Louis Edwards says the "Queen of Soul" told organizers on Thursday that she wouldn't be able to perform. Edwards said she apologized to fans but wouldn't give a reason why. But Earth, Wind & Fire were already scheduled to play Saturday in Biloxi, Miss., about 65 miles away. They played Jazz Fest last year to rave reviews. Pearl Jam is scheduled to headline Saturday, and the setwill be broadcast live online to Louisiana National Guard soldiers serving in Iraq.